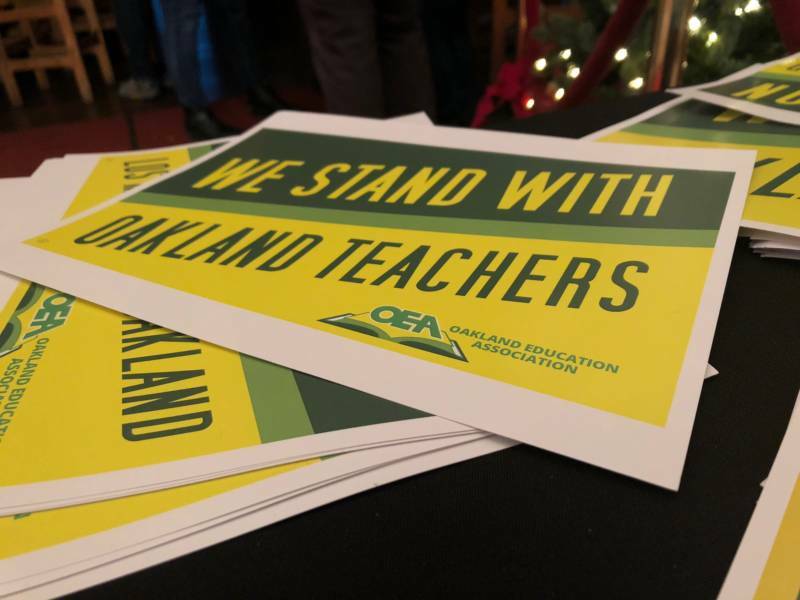 Oakland Unified School District is solidifying plans to close and consolidate schools. Specifics are expected early next year, but just the idea of school closures is alarming some parents, students and teachers who say they’re not about to let their school close without a fight. 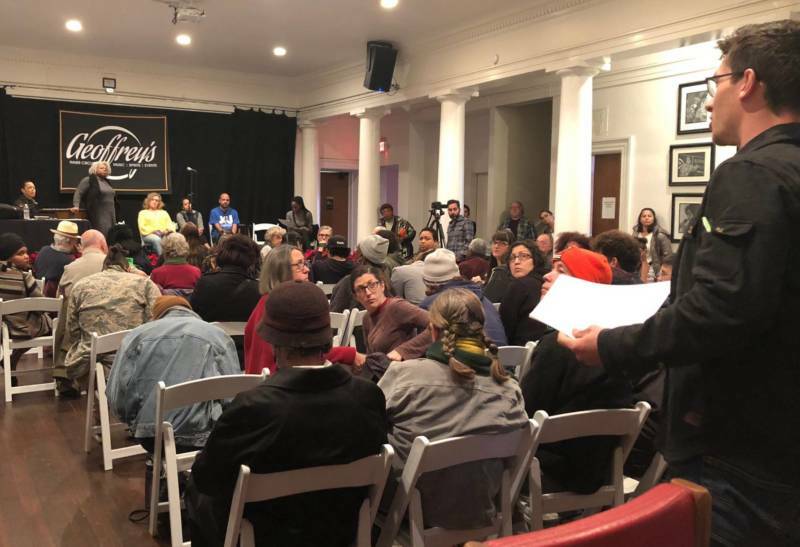 Over the weekend, people gathered in downtown Oakland to begin plotting a community response to the looming closures. 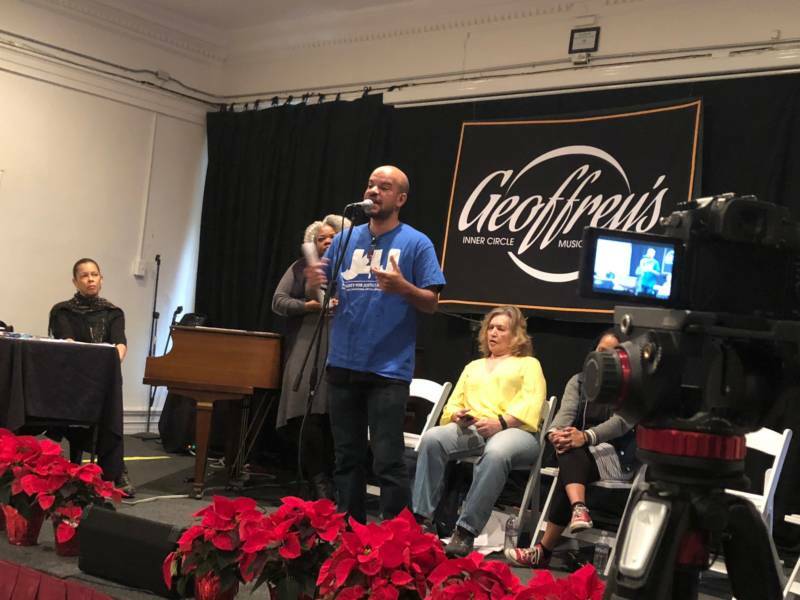 “There’s only one way that we can stop this, and that’s organizing and making sure that we defend our schools,” local public education activist Mike Hutchinson told the crowd at Geoffrey’s Inner Circle. “Once we organize one school site, we can’t stop there. We need to organize by neighborhood and citywide." Hutchinson helped organize the event, which drew about 100 people. "Today was kind of two-fold,” he said, “to get information to folks so they can understand what the school board is planning to do, and hopefully that would inspire them to start fighting against those plans." With enrollment down, OUSD officials say they can’t keep all 87 of their schools open. Their initial analysis projects that five years from now, there’ll be more than 10,000 empty seats. The district’s early estimate is that it needs 24 fewer schools. High school teacher Chris Jackson, who attended Sunday’s event, said morale in the district is already low after years of cuts. “After we’ve made cut after cut, the final insult has been to close our schools down," Jackson said. 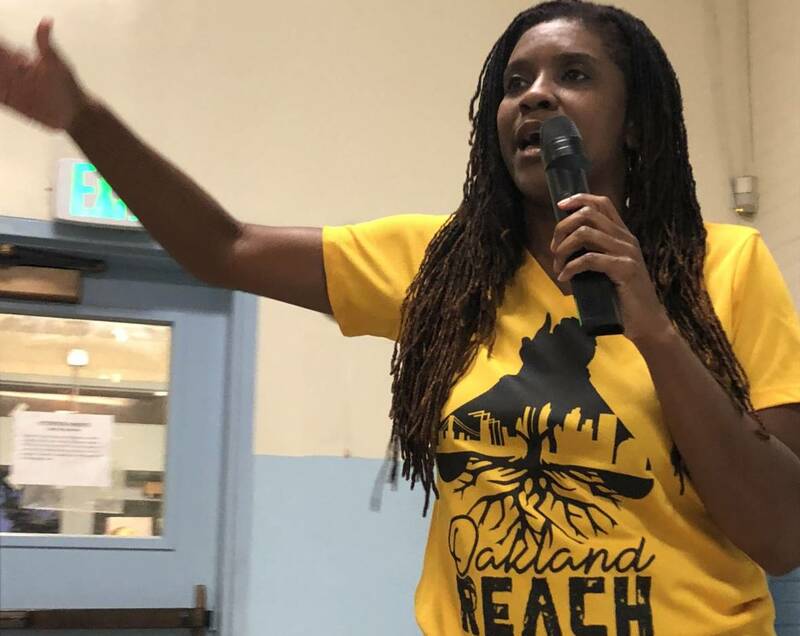 Jackson teaches at Castlemont High School in East Oakland, the region with the most schools, and where 17 of the 24 estimated closures would take place. He’s already worried about what that would mean for his students. 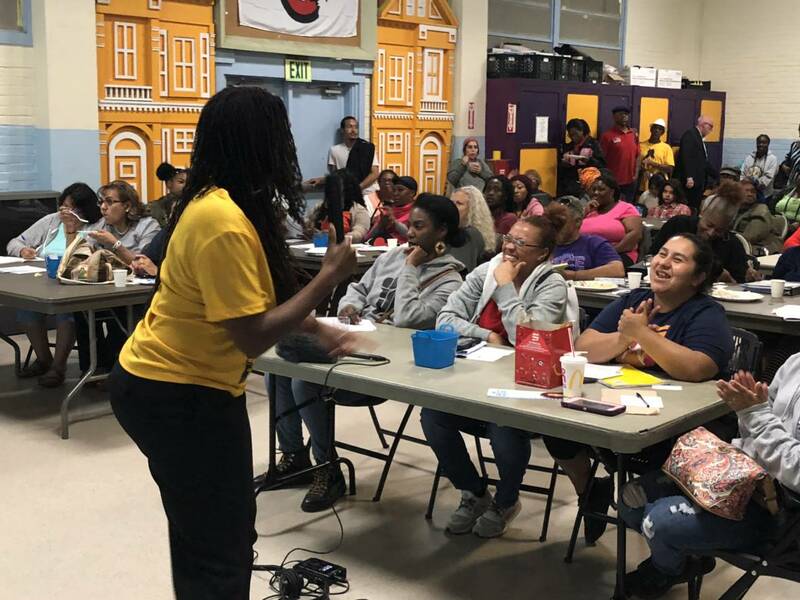 When school started this year, Superintendent Kyla Johnson-Trammell admitted closing schools wasn’t going to be an easy task. The state bailout money available to OUSD hinges on the district showing it’s taking steps to fix its finances. Closing schools is a key part of the district’s longterm plan. But like others at the community meeting, Jackson and Hutchinson argued closures will disproportionately impact kids in Oakland’s flatlands. Most of the schools closed or consolidated are expected to be elementary schools, plus a handful of middle schools and one high school. The district is expected to provide more detail on the plan in February.